Is there a difference…no it’s same…or used interchangeably? Arguably one might say that hotels are a part of hospitality and all the allied industries would be categorized under service. So why are we discussing this since it could mean the same or used in varied context. To further decode it according to Aaron Bare, entrepreneur and strategist: Service is delivering on your promise. Hospitality is making people feel good while you’re delivering on that promise. “Hospitality” means exceeding the basic services you promise. 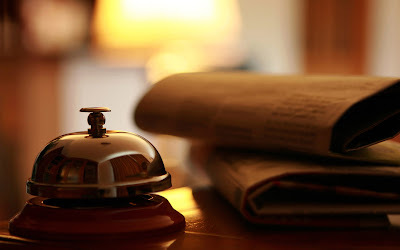 Hospitality as a term or as an industry is not new it has been around for ages, but the fact is that there are too many players and then there’s a lot of competition, so what that unique element that you provide that makes you shine on, favored and recommended. For those who are acing hospitality carry on and for those who have been stressing more on service it’s never too late. Incorporating hospitality into the existing service standards doesn’t mean that one has to change their entire system and processes. In turn what needs to be done is to include a small gesture in the service model that would stand out, become worth mentioning. Once done you’ll discover that guests will notice the difference and will boast to others about their special experiences. Accor Hotels at its Sofitel and Novotel properties in Philadelphia, Chicago, New York and Washington, D.C. –identified their loyalty members interests through their social media profiles. On arrival there was gift given to the guest “Take guest recognition to the next level, to a more powerful level. Ritz-Carlton Resorts of Naples asked Facebook fans how they like their coffee. If you answered, then stayed with them, your coffee would arrive perfectly sugared—without having to ask. Hospitality today has become synonym with every industry not just hotels. Earlier it was understood that if you are working with hotels only then one needs to become hospitable. But the fact today is that every service industry is focusing on hospitality, it has become an integral part of any business operations. It’s a tool that is used to have a demonstrative link with a guest/client or customer. Just look around hospitals, airlines, retail sectors, corporates and educational institute all are focusing on creating that distinctive connection with people that they serve or cater to. So how can one achieve this? There’s a saying that attitude can’t be trained, I however disagree on this. The result may not be instantaneous and is unquestionably time consuming and needs an individual approach. Is it possible, the answer is a big yes, the key being hire and train right. The Bad News: The essence of hospitality cannot be taught as if it were another job skill. The Good News: You don't need to teach it. It should come naturally which is an innate capability of all human beings. The Great News: You may already know WHAT works, but when you really understand WHY it works, maintaining that warm feeling can become remarkably effortless.